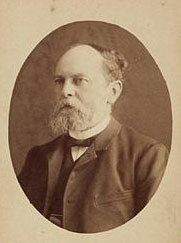 The man who started the discussion on contraception in the Netherlands was the radical young lawyer and politician Mr. Samuel van Houten (1837-1930). Taking his inspiration from England he formulated an orthodox Malthusian programme. He is supposed to have coined the word "Nieuw-Malthusianisme", that gained currency as "Neo-Malthusianisme" to distinguish his acceptance of contraception from Malthus's own advocacy of late marriage.